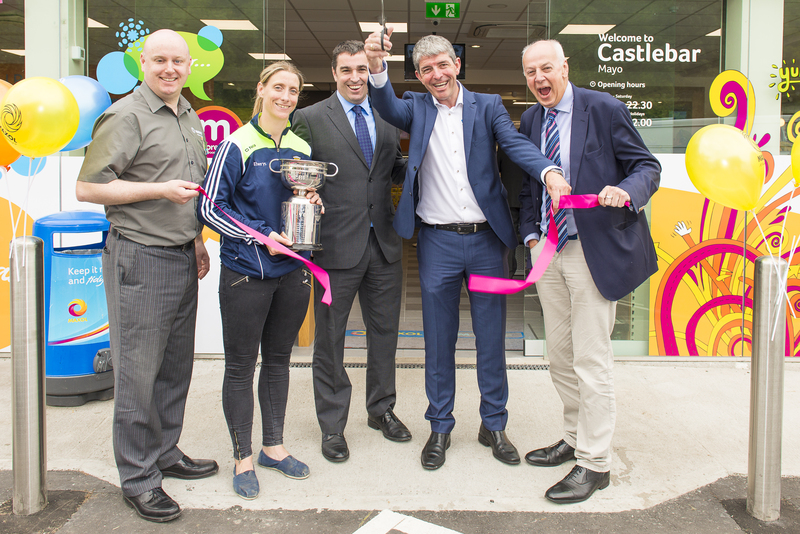 Last Thursday 14th July, Maxol and Licensee Tom Meehan from Maxol Castlebar held the official opening celebrations. Mid-West Radio kicked off the party with the mid-morning show broadcasting live from the service station. Fuel buying customers were invited to a free lunch on the day and the Maxol Prize Wheel was present, giving customers a chance to spin & win some super prizes. In-store, the delicious Moreish deli range was being sampled by well-known food blogger Melanie May from “I Love Cooking”, and Insomnia had treats galore to give away including some fabulous Insomnia hampers. For the kids there was face painting and balloon modelling, and lots of goodies to keep them smiling! Captain of the Mayo ladies football team Cora Staunton cut the tape to officially open the service station and took time to meet with customers on the day. Overall a great day was has by all who visited and took part in the fun! To view photos from the day, please click the link to the gallery: https://goo.gl/RQuc2X.